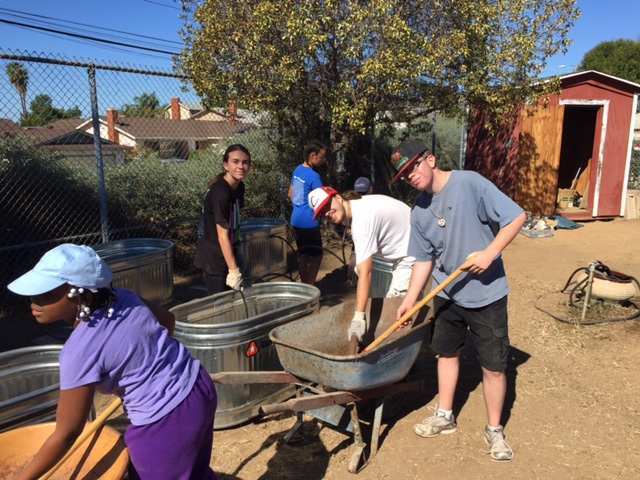 With the assistance of Healthy Planet, La Mesa Dale Elementary successfully held their Dig Day at their school on October 8, 2016. The students, families, and teachers all had a great time building their school garden. The best part about the day was that the students got a hands-on experience in developing and overseeing a project from start to finish. La Mesa Dale Elementary understands that planning a school garden provides endless opportunities for schools to integrate critical curriculum. The parents and teachers are looking forward to their children learning where their food comes from through the new garden. They also believe that the garden will teach them healthy eating habits, and as a result, the kids will learn to eat seasonal foods that are grown locally.